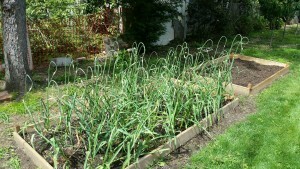 I must share a bit of a back story before I get into discussing why you should be interested in garlic scapes. 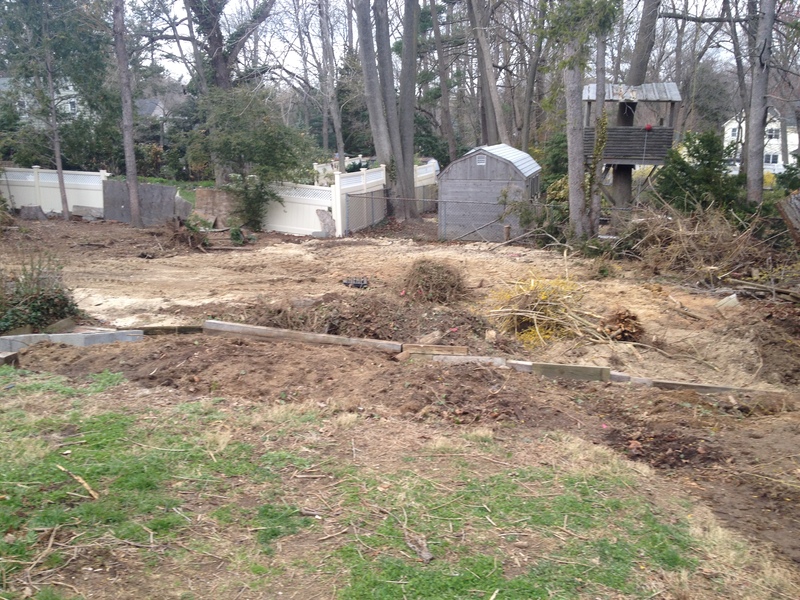 Back in 2012 Hurricane Sandy destroyed my backyard. Many people lost their homes, so I couldn’t really complain. 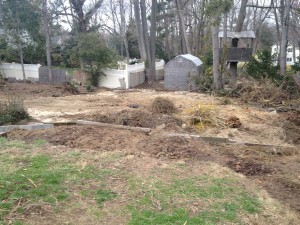 But, my beautiful, shady, tree-filled backyard was now a sunny wasteland. For a long time, it looked like an abandoned lot on the side of the Belt Parkway in Brooklyn. Once my husband and sons finished chopping up our beloved oak tree for firewood, it was time to come to grips with my now-very-suburban-looking backyard. Fortunately, my friend Dylan, who owns a home organic gardening business, had just come back from Costa Rica with all sorts of ideas about creating an individual biosphere in regular backyards. He saw my yard as a blank canvas and the creative juices started flowing. Dylan filled one side of the yard with berries – strawberries, blueberries, blackberries and raspberries. In the back of the yard, he planted two peach trees, two plum trees and a fig tree. He built boxes for potatoes, asparagus, squash and garlic. On one slope, he planted a bunch of pollinating flowers. I now have one of the world’s most interesting backyards. One morning as I looked out, I said, “Do the garlic plants have flowers?” When I finally got back there to look, I saw these beautiful swan-like fronds. I thought, “Ooohh, these must be garlic scapes”, and immediately felt like a fool because I had just ordered some from my local Farmigo distributor. Newbie gardener mistake, as I was able to harvest about 50 of my own scapes. I cannot describe to you the giddy joy I experienced with this unexpected, gorgeous gift from my own backyard. Don’t tell Kerry, but I skipped the basil because I didn’t have any around! 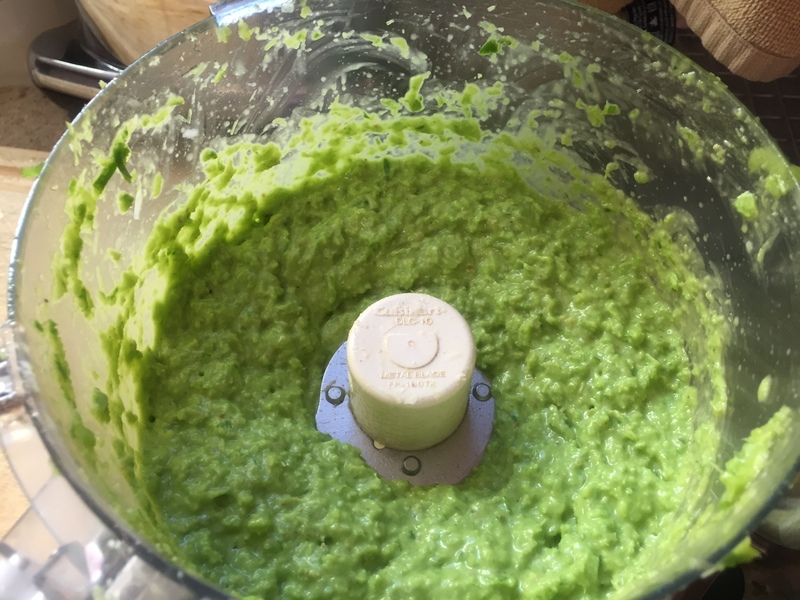 The pesto was super-easy to make and my freezer is now stocked. Scapes can also be sauteed or added to soups. Now for the best part. garlic scapes might just be low-FODMAP! I don’t think they have been tested by Monash, but the greens of scallions are low in FODMAPs and a quick Google search indicated that some FODMAP bloggers have been able to tolerate garlic scapes even if they cannot tolerate garlic. This means that you should be able to enjoy the garlicky taste that comes from the scapes without worrying that it will set off your IBS. Why should you eat garlic scapes? Because they contain the same wonderful nutrients that you get from eating garlic – manganese, selenium and some key vitamins. Garlic consumption is thought to be good for your cardiovascular system and may help to protect you from cancer. 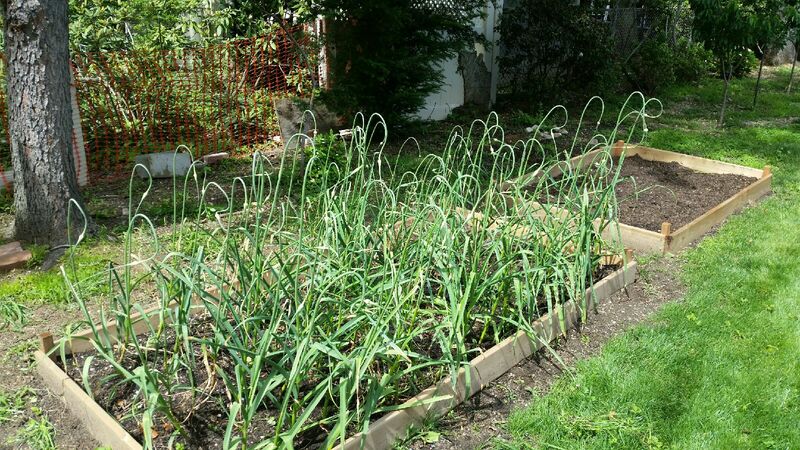 Where to get garlic scapes if you are not growing garlic in your backyard? They can be found in your local Farmer’s Market. Ask the farmers when they will be in season in your area.